Our experienced advisors take the time to match a tutor to your child's personality and difficulties. Thanks to its network of specialized tutors, School Success can help you find the best person to meet your child's needs, whether they are in elementary school, high school, or cegep. 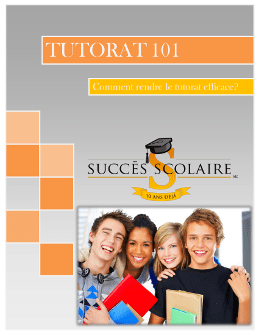 Tutors in Gatineau offer services online or at home. Through individual support, the tutor ensures that they are taking a unique approach tailored to your child in order to address concepts seen in class, help them catch up in one or more subjects, help them with homework or help them prepare for an exam. Also, the tutor will give them advice for improving their work and learning strategies.